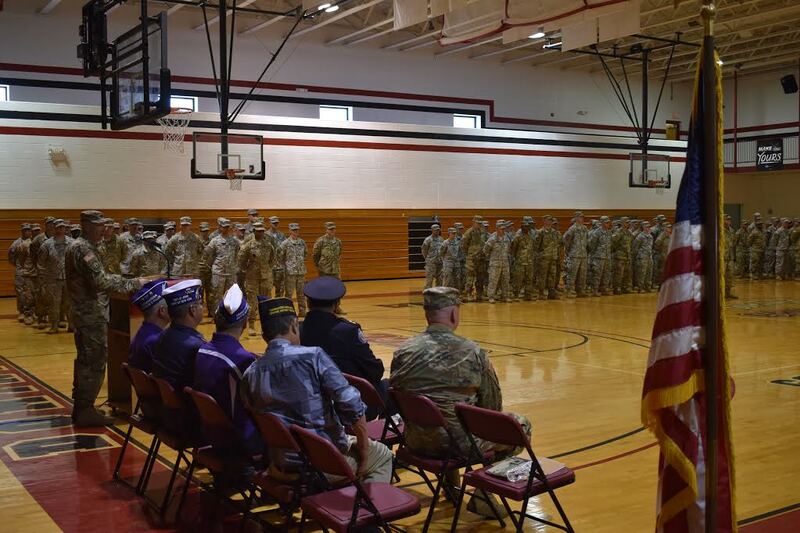 Loved ones gathered at Dominican College’s gymnasium on Sunday to say farewell to the men and women of the 812th Military Police Company of Orangeburg, NY. The company is set to depart for Fort Bliss – located in Texas – where it will undergo training and await deployment. 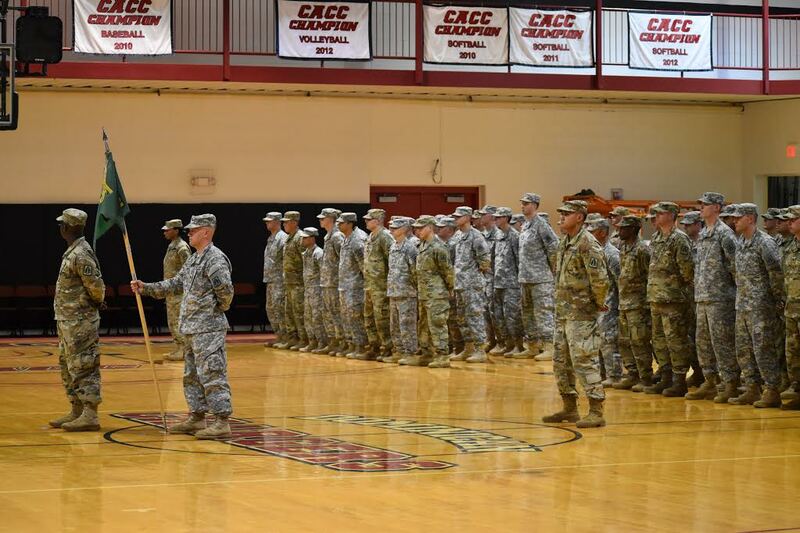 The 812th Military Police Company is comprised of many men and women from the local tristate area and beyond. The company – which was constituted on November 30, 1943 – has served for over 75 years, stretching from deployments in North Africa, Southern France and the Rhineland in World War II to Baghdad, Fallujah and Mosul in the War on Terror. Throughout history, the men and women of the 812th have been prepared to serve when called upon. These men and women are part of more than 200,000 individuals who make up the United States Army Reserve – which accounts for 20 percent of the Army’s organized units. As part time soldiers, these individuals live ordinary lives but ultimately are prepared to serve the nation above all else. The farewell ceremony recognized and honored not only the men and women of the 812th but family, friends, loved ones and even former service members as well. Lieutenant Colonel Michael Brancamp, commander of this company, emphasized how many of these individuals would not be where they are today without the unwavering support which they have received throughout their lives. The ceremony concluded and the soldiers broke their ranks. They advanced towards the stands and the lobby of the auditorium to talk, laugh, take pictures and enjoy refreshments with loved ones, sharing time together before departing.